Are you using the right timber? Is it designed to shed water? Do you want a paint or a stain? Are you using water-based micro-porous paint? How often will you need to redecorate? 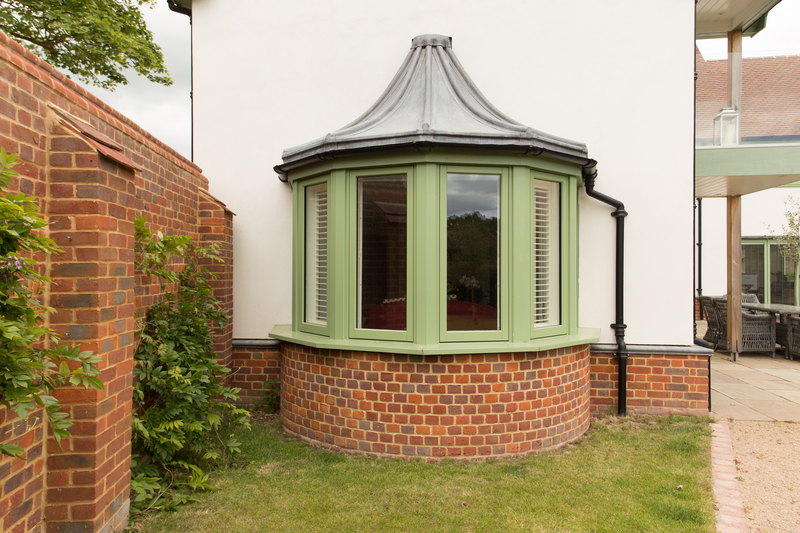 To get the most out of a coating, you need to consider the timber you are using and how your joinery is designed. Is the species stable in fluctuating moisture conditions? 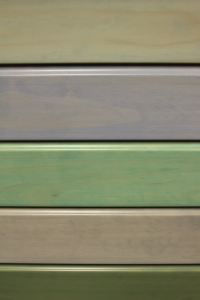 The dimensional stability of the timber species and its moisture content are key influences on coating performance. Some species show significant dimensional change with changes in humidity. The more stable the species, the less likely it is to suffer surface splits, stress or open joints; and the longer coating life it will give. Oak, for example, though naturally resistant to biodegradation, is prone to surface splitting, which disrupts coatings and requires frequent maintenance. Softwood timber that has been engineered or chemically modified, such as AccoyaTM, has good dimensional stability. 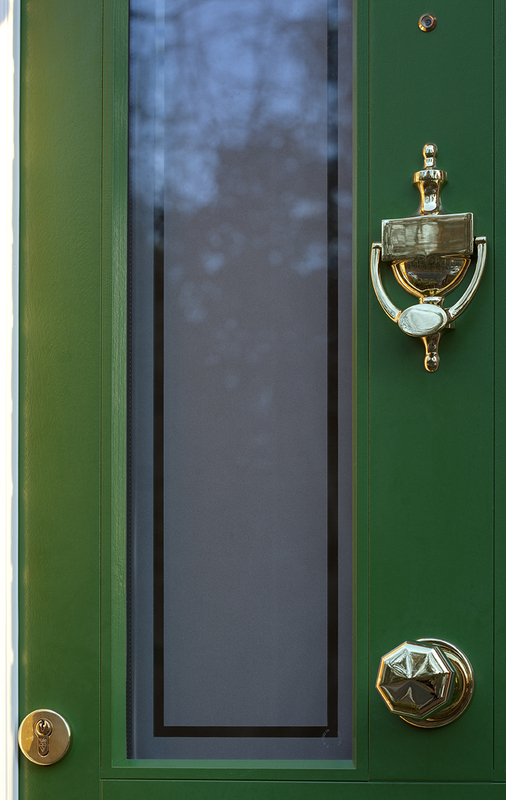 Exterior joinery should have a moisture content of 12%. If it’s much lower, the timber will tend to swell as it absorbs moisture. Too high a moisture content will compromise coating adhesion. Knots are attractive in the original wood and under translucent finishes. However, particularly with opaque finishes, they can cause tannin staining, resin bleed and surface defects. Modern coatings and fillers can minimise, but not totally eradicate, knot staining, and there is no preventative solution to resin bleed, which although unsightly does not affect service life. The use of laminated, engineered or modified timbers overcomes most of these problems by eliminating knots and typically producing a more stable substrate. For further information, see BS EN 942. Modern, factory applied, opaque coating systems typically perform well for up to 8 years between maintenance cycles. However, the selection of coating system, timber species, joinery, building design and exposure conditions all influence performance. If you wish to use a ‘slightly durable’ or ‘not durable’ wood outside, you should ensure the wood you buy has been pressure-treated with preservatives. The main elements of best practice joinery design and assembly are detailed in BS EN 644. End-grain is particularly vulnerable to moisture, and early failure is often seen at lower joints and corners where the end-grain is exposed. Timber’s natural movement means that joints tend to open up over time. When a gap opens, exposed and unprotected end-grain will absorb moisture much faster than the surrounding timber. End-grain must be sealed with a proprietary sealer designed for this purpose. Construction joints and mitred joints should be ‘V’ cut and neatly filled with a proprietary joint sealer. This provides a seal and accommodates a small amount of movement before the joint is exposed. 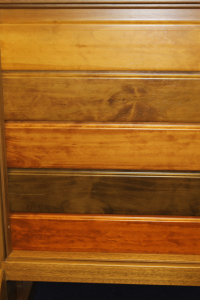 Stains, which are used to colour the timber substrate but have no film build and offer limited protection. They typically contain a low level of pigment to enhance the colour of the wood, and some resin to stabilise the surface. Stains are normally used indoors on furniture, and outdoors on fencing, sheds and decking, where they normally require annual maintenance. Paints, which provide thick film build and protect as well as decorate the timber. They are supplied as either solid coloured (opaque) or translucent products, which have much lower pigment content, allowing the wood surface and structure to remain visible below the paint film. 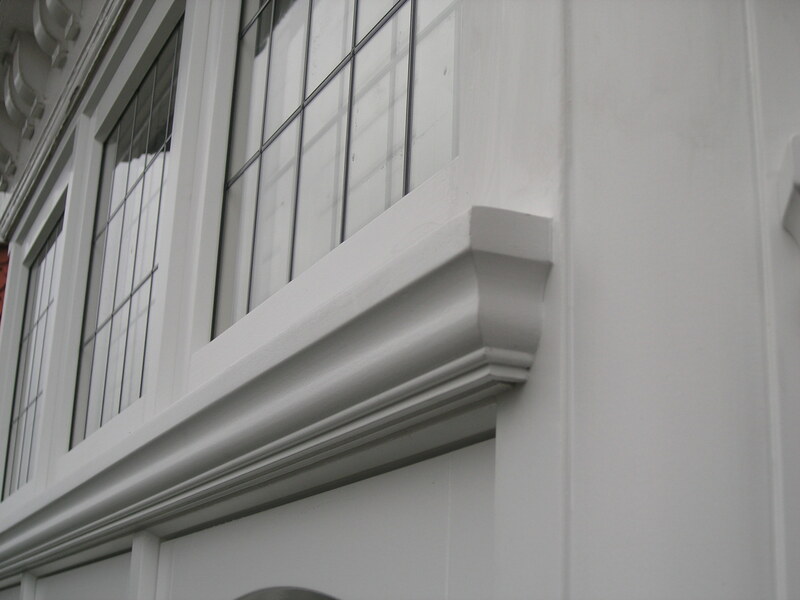 Most modern joinery paints are based on water-borne acrylic resins. Acrylics have largely replaced solvent-based alkyd paints because of their flexibility, which helps accommodate timber’s natural movement, and so minimises flaking and cracking of the paint finish. Acrylics also resist yellowing in sunlight and so maintain their colour better. 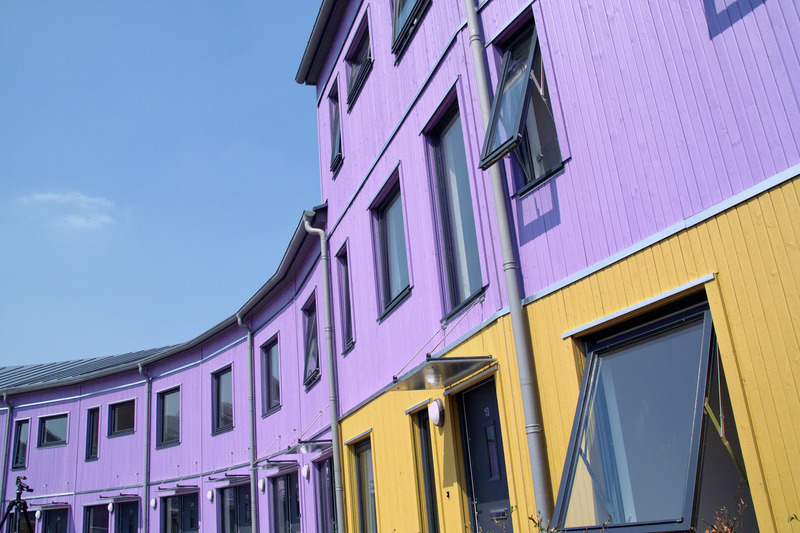 Solid paint colours generally require less frequent maintenance than translucent shades, as their pigmentation helps protect the timber surface from UV degradation, which in turn degrades the paint film integrity. Totally clear (colourless) paints, provide very little UV protection, so require frequent maintenance and are usually not recommended for external use. Very dark colours absorb heat from sunlight, which encourages resin bleed and cracking on some timbers as their surface dries out. Film thickness is important for paints. Too little, and the timber will not be fully protected. Too much will not significantly improve performance and won’t look right. A factory finish will always provide better protection than site applied brushing. 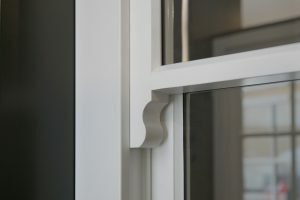 Factory-finished products, like windows, should have a minimum dry film thickness of 120μm on exposed surfaces, and 60μm on recesses and closures. Opaque paint systems are normally composed of two paints – a primer and a topcoat. As well as providing good adhesion to the wood and a smooth uniform surface for the topcoat, primers may also include additives to resist staining from knots or tannin extractives from hardwoods. The topcoat is optimised to give good aesthetic performance and weather resistance. Translucent systems are composed of a base stain and topcoat, both of which are lightly tinted to give some UV protection to the timber surface and enhance its colour and uniformity. The base stain is designed to penetrate the timber substrate to give UV protection, colour and improve the adhesion of subsequent topcoats. Used alone, base stains provide limited long-term protection and need to be over coated with translucent topcoats to achieve an acceptable life to first maintenance. All exterior joinery should be washed down annually. Spot repair any minor areas of coating damage, shakes or open joints as soon as possible. South-facing joinery will need re-coating soonest because of its exposure to the sun. Joinery in exposed areas, such as coastal sites, hills or multi-storey buildings will need more frequent maintenance. Factory-finished joinery will need less frequent maintenance and less onerous preparation than traditional joinery. Here’s an example of maintenance frequencies for factory-finished windows:. With factory-finished joinery, little preparation is necessary – just give a light abrasion to provide a key for the paint, wipe down and apply one or two top coats with a long-haired synthetic brush. Use a water-based micro-porous acrylic paint. You won’t need to decorate tricky areas that aren’t exposed to the sun. Any bare wood should be primed before top-coating. If there is any resin exudation, do not try to remove it when it’s fresh and sticky; wait for it to oxidise and brush it off. See Wood Window Alliance Advice Note Maintenance Guidelines for Timber Windows and video Redecorating factory-finished wood windows. BS EN 927-1:2013 Paints and varnishes. Coating materials and coating systems for exterior wood. Classification and selection. materials and coating systems for exterior wood. Performance specification. BS EN 350:2016 Durability of wood and wood-based. Testing and classification of the durability to biological agents of wood and wood-based materials.